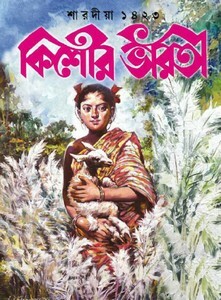 Sharadia Kishor Bharati 2016 (1423) ebook pdf file. This is a special yearly edition for Sharadia Festival and it is publish on every year before Durga Puja. I'll share with you that edition on 2016. Cover stories of this edition are Thirteen novels by various well-known authors, Unpublished story by Dinesh Chattopadhyay, Magic poems, Large stories, Travel, stories, there are many short stories, Composition of teenage, comics etc. Collect the magazine as pdf file from link below.